Finally, my first visit to McCafe after its opening for about 2 months ago. The Kota Damansara branch. So hard to find its location and gotta rely on gps. 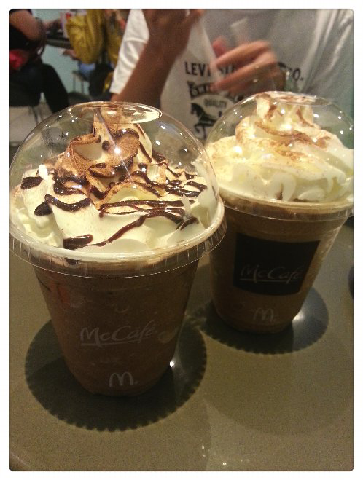 Ordered Choc Frappe and Mocha Frappe. Tasted so-so only. Warm muffin and brownies, average as well. No special seat area for cafe customer, doesn't really feel like an cafe at all, no exquisite feeling. Lol. I still prefer Starbucks. Haha. 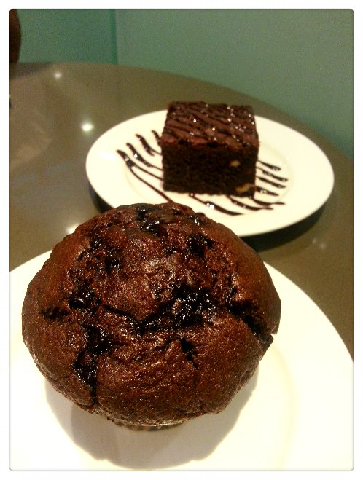 i like their banana muffin~~ and cheap coffee~ there is some corner seats upstairs which really give good time for fren gathering. I went to Kota Damansara ones, so don't really have seats that are nice. But yeah, cheap coffee! Banana muffin? Shall try that next time!